My book bro Keith, owner of an awesome beard, husband to an awesome wife and father of two exciting kids has just announced the second printing of his magical volume Book on Fire. 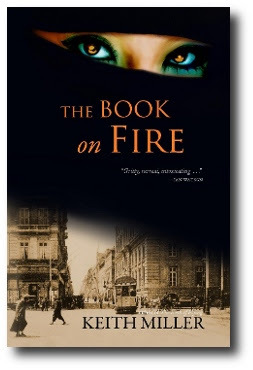 It has a new cover, and includes a long bonus story, City of Bones, about a sojourner in a post-apocalyptic Alexandria. It is available from Amazon and Barnes & Noble, as well as select brick-and-mortar bookstores.